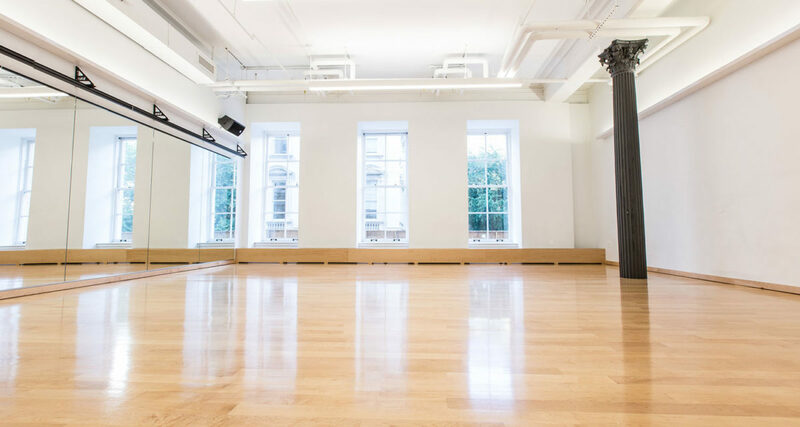 Studio B is an ideal, peaceful, and sunny space with three large windows overlooking Chambers Street and City Hall Park. Across the hall from Studio C, and adjacent to Gibney’s main office. The space includes large mirrors with mirror drapes. Use of shoes prohibited. Studio B used to be part of the 280 Broadway office space! 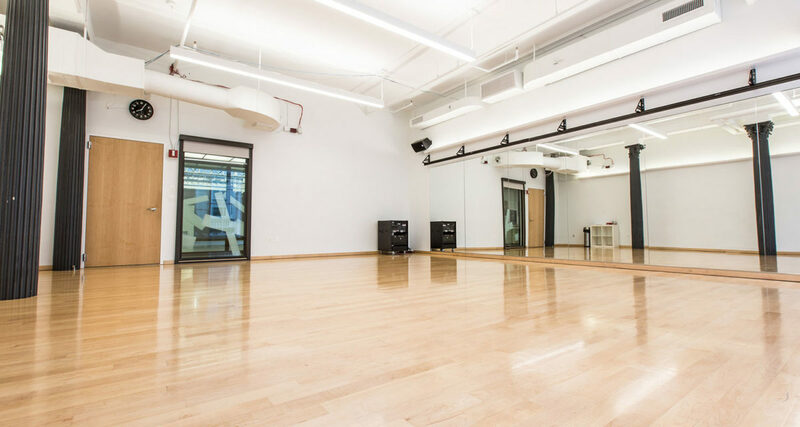 When Gibney moved in to the building in 2014, part of the renovation project included reclaiming this space for dance. It’s small size and proximity to the office space make this an ideal room for larger meetings, or large group gatherings that require minimal movement or participation, like our Institute for Community Action Training.